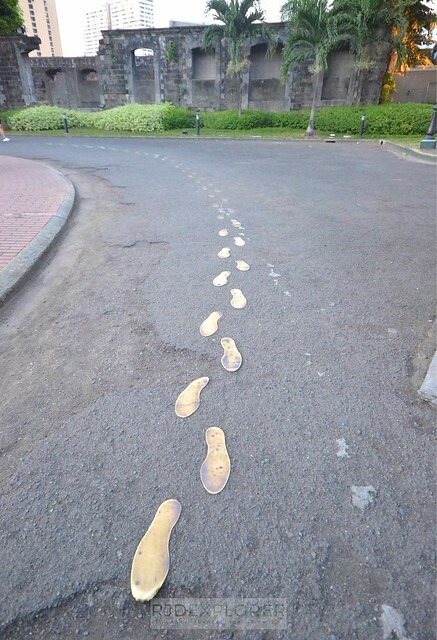 Before anything else, Carlos Celdran’s Intramuros Walk This Way Tour is not for everyone. 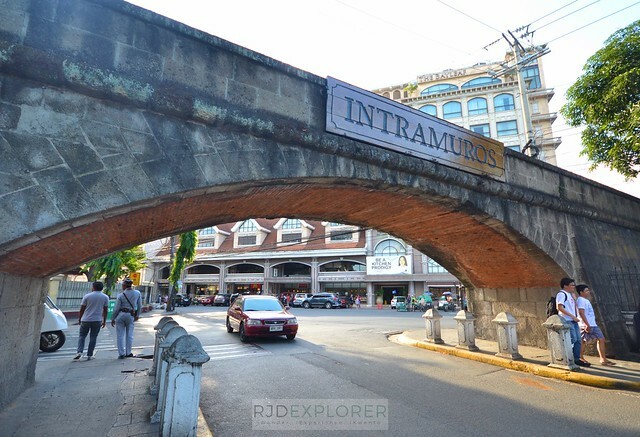 If you’re a historical buff and just want to see the landmarks that narrate Philippine history, then grabbing a map of Intramuros and doing it on your own is better. 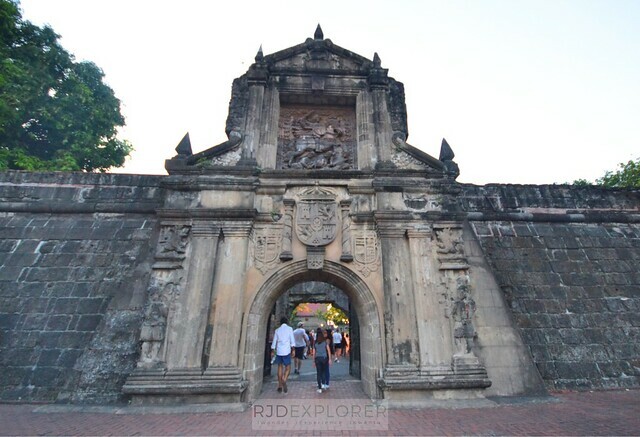 But if you’re a kind of traveler who seeks a fresh way of doing historical tours, then availing his tour and joining him on a 3-hour journey on Philippine history might be a good choice. A few years ago, a Carlos Celdran free tour in Malate flooded my Facebook timeline because of my blogger friends. 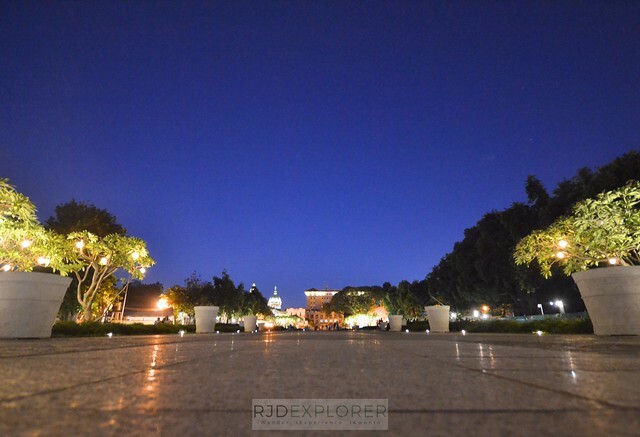 It was the first time I’ve explored the area where we weaved one of the most famous districts of the capital city. Carlos Celdran guided the tour and showed us some of the significant landmarks in the district. The guy is really brilliant in his chosen field that made me consider availing his Intramuros Walk This Way Tour when I relocated back to Manila. 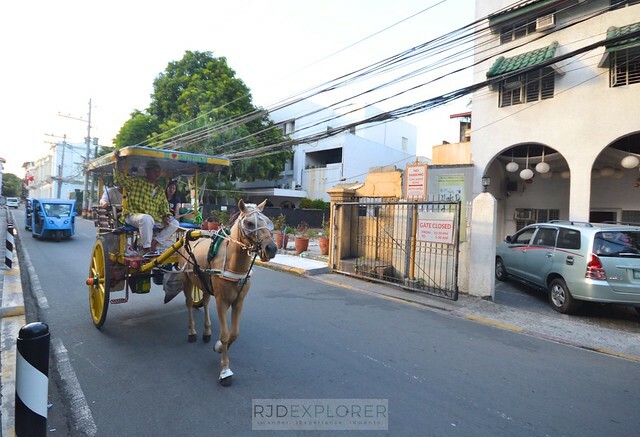 Kalesa (horse-drawn carriage) is a normal transportation system within the walled city. I’ve been to Intramuros once but only in San Agustin Church when a set of friends decided to try a Filipino restaurant across the street. Checking the tour information, the inclusion of Fort Santiago added excitement and eluded me to book a slot on a weekend schedule. Upon showing his attendant my Klook voucher, she handed me a tour sticker and relayed an unfortunate news that the tour might be delayed for about 30 minutes since Carlos had a flat tire. 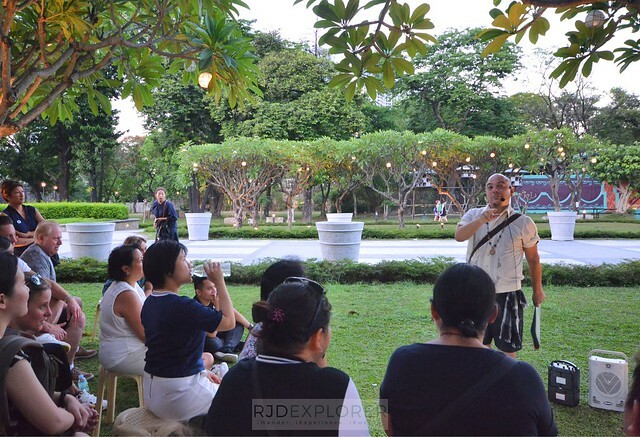 The five in the afternoon tour started around 5:30 when a running Carlos Celdran entered Fort Santiago rushing to The Manila Collectibles Co., the rendezvous of the tour. Spanish era under the trees. He wore his costumes in no time, brought two Korean mobile speakers in both hands and shouted, “Walk this way!! !” On a spot near the entrance, he introduced the tour, brought out a Philippine Flag, handed it to the tallest member of the tour, a Westerner guy, and we started singing Lupang Hinirang. It was my first time to sing the National Anthem since I got out of college. Such a shame. On that point, he started delivering bits and pieces of the Philippine history during the early times. While doing his talks, he momentarily flips from his folders some pictures relative to the topic and era. 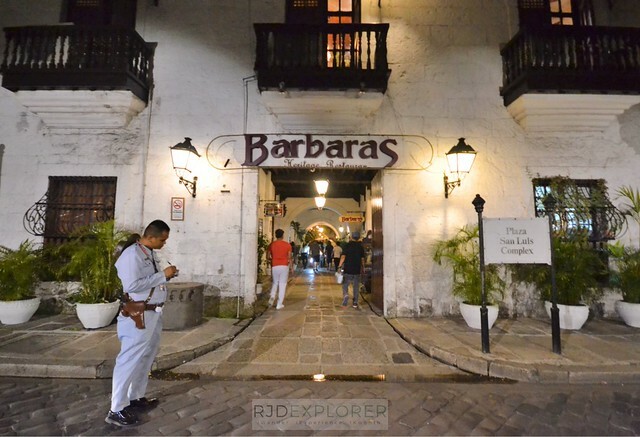 The first segment of the walking tour introduced the Filipino culture on how we adapted other cultures and adding the Filipino creativeness in the equation. He even used Lupang Hinirang as an example and sharing that the last notes of our national anthem were taken from the first notes of France’s national anthem, reversed. Filipino’s way of labeling like ‘frigidaire’ for a refrigerator, ‘xerox’ for photocopy, ‘colgate’ to all brands of toothpaste, and ‘kodak’ for a photo, was a fun fact shared. The theatrical way of Carlos Celdran in delivering the spiels makes the Walk This Way Tour more interesting and catchy. Listening to a guide who just narrates the facts is too boring and sometimes just provide information overload. But the guy’s acts really hold the attention of everyone on his tour. There were moments where he gets a handful of flower pods and petals from his pockets to coordinate with his information surprises he occasionally tags as ‘illusions’. All tales related to Spanish colonization were narrated under Calacuchi trees. It is where, together with fellow Filipinos, I had few learnings of the Philippine history that were never discussed in my history classes. Getting a slot on his tour will surely make you understand that it is Catholicism that colonized us, not the Spaniards. Transition from one spot to another continues to be theatrical with music relative to the era is played on his mobile speakers. He also changes his outfit to highlight the segment; from wearing a traditional Barong Tagalog, to having several swanky hats, and props. Don’t flinch when you hear him yells at the church and shout words like ‘SECULAR’ or drops his massive folders on the floor. It’s his way of making the traditional guided tour a thought-provoking one while dissecting and dramatizing the glory old days of Manila. 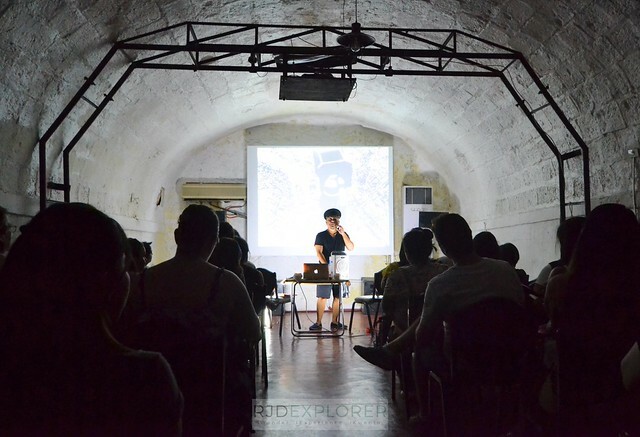 Inside Fort Santiago, right in front of Jose Rizal’s monument, Carlos Celdran continued his narrations by showing photos of how great Manila was during the American era. Apart from democracy, the educational system is an evident legacy left by the Americans in the Philippines. This brought the Philippines to be one of the countries having the highest literacy rates in Asia. Darkness finally crept in while Celdran led everyone back to The Manila Collectibles building where everyone got a seat. Inside the chamber, with a set-up similar to a church, the guide simulated a Catholic mass. 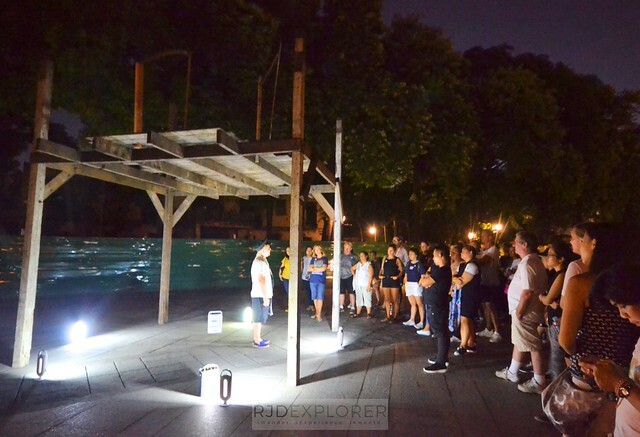 The tale became a bit emotional as he chronicled the destruction of the once glorified Manila where thousands of Filipinos were killed during World War II. A moment of silence in the crowd and few members wiping their eyes. That’s how powerful he conveyed the information that seems to be lines from a theatrical drama. 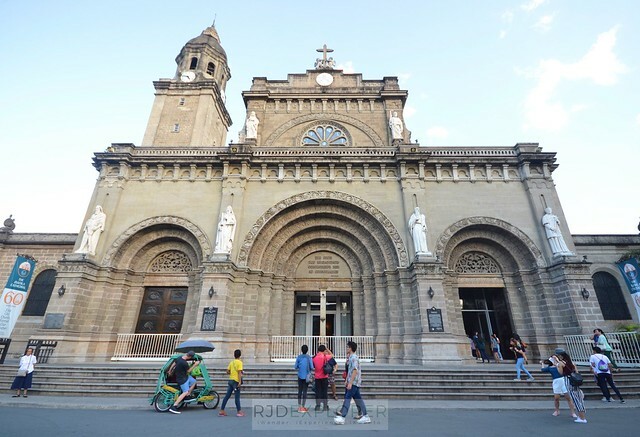 After the act, tour attendees can either hop on pedicab (cycle rickshaw) or horse-drawn carriage or just simply walk to San Agustin Church, the oldest church in the Philippines. Rides are included on the tour and free-of-charge. I decided to walk and the route will pass by the Manila Cathedral. 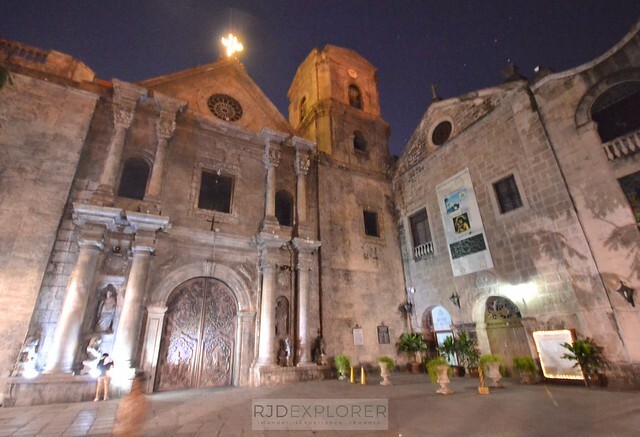 At the destination, in front San Agustin Church, Celdran reiterated that the Philippines, with its time under different colonizers, easily adapts different culture. That’s why the Philippine culture is well-represented by its famous dessert, halo-halo, which literally means ‘a mix of everything’. 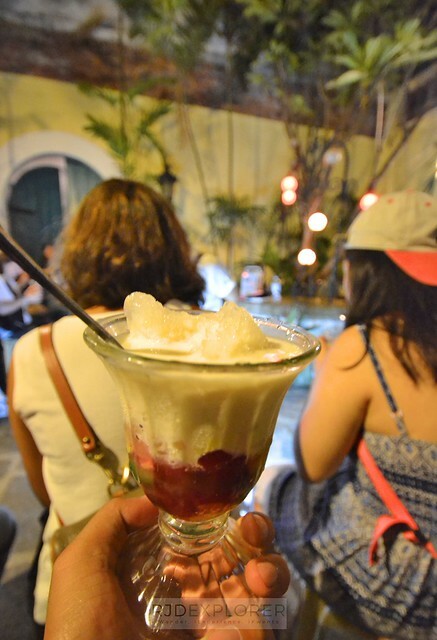 Last stop is at Barbara’s where everyone gets a refreshing halo-halo to end the tour. One of the statements that hit me during that time was his line, “remove all the decorative designs of the buildings in the Philippines and you’ll see a nipa hut, a representation for Filipinos simplicity and might” (non-verbatim). This is a sad reality because the core of Filipino culture is now hardly distinguished because of cultural influences and how easy for us to adapt to these cultures. 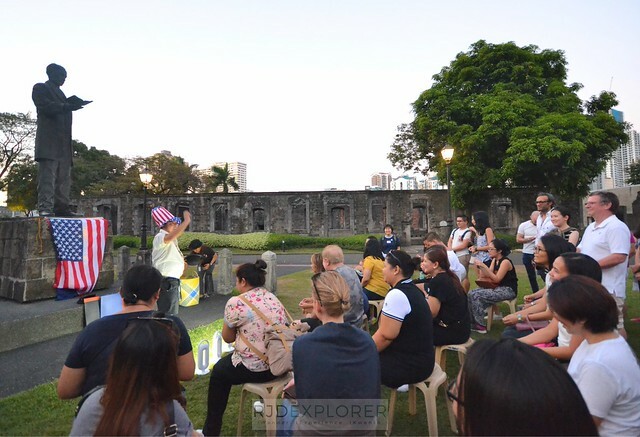 At times, it’s great to go back to your roots and this Intramuros Walk This Way Tour by Carlos Celdran is not only meant for foreign tourists but also for Filipinos who need to learn more about their history and culture. For travelers who decide to skip Manila when visiting the Philippines because of its brouhaha, this one-of-a-kind Manila tour is surely a great appetizer to the Philippine culture. Intramuros Walk This Way Tour is not for everyone. Depending on the schedule, the group can go more than 50 participants since the tour accepts walk-in. If this will be a big deal for you, then it’s better not to get a slot. The tour is more of a theatrical performance than a regular guided tour. I hope that Carlos will provide time for the participants to roam around the place. It will be a one-man show and the guide can’t avoid injecting his own viewpoints on the tour. He is also blunt to disclose some controversial facts on the Philippine history. Others might consider it a bit biased so it’s better to check your Philippine history notes just to balance the facts. The guide might be harsh when using some words and unnecessary yelling at times. If you’re not that kind of person, the tour might be offending and stressful to you. Some segments might be confronting and uncomfortable for nationals of countries related to the Philippine history. Just enjoy the wittiness of Carlos Celdran and you’ll have a great time.